Cherry Picked Hampers was created by Laurie and Hayley who live in the depths of Dorset. They create wonderful hampers and collections of produce which is 100% sourced from Dorset. They offer gift hampers for all occasions including corporate, event and holiday let hampers. The Cherry Bar is a new addition, a vintage retro styled mobile bar featuring locally sourced alcohol and non-alcoholic drinks. 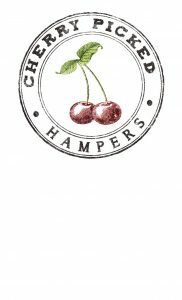 They are also the sole wholesaler and a retailer of Dorset Cherries products, including fresh cherries, juices and cherry brandy.